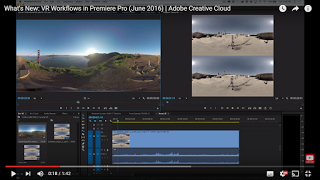 In the Creative Cloud June 2016 release, Adobe Premiere Pro CC has been updated to add “VR Video” (i.e, 360 video) editing tools. 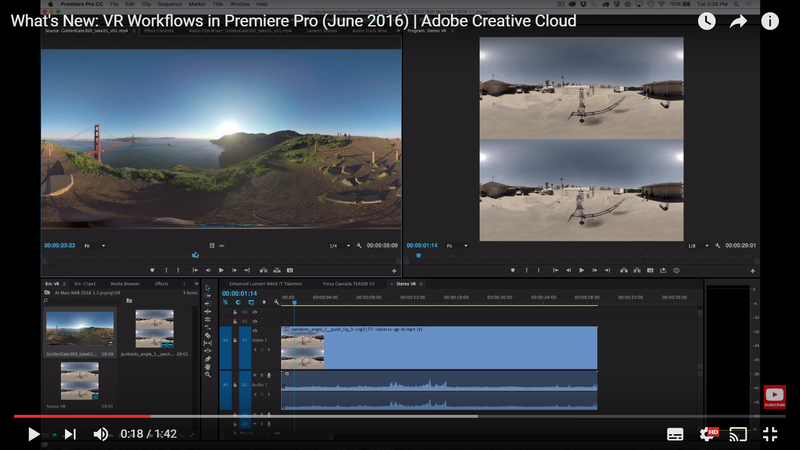 There is now a preview window that lets you see how your 360 video will look when a user views it in 360. There is even support for 3D 360 video.